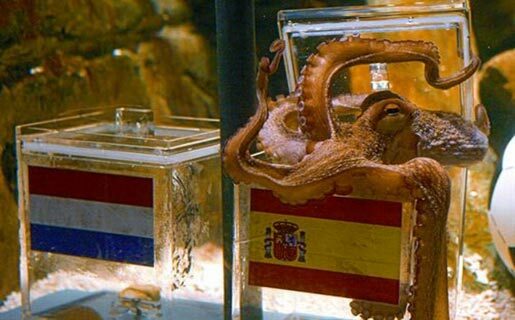 An octopus in Germany has given his final prediction for the World Cup. Could he be right once again?! Paul, who lives in an aquarium in the city of Oberhausen, has so far got every Germany result right during the competition, even when he predicted Germany would crash out to Spain. His keepers put two glasses in his tank showing the flags of the two teams that are playing and Paul has to pick a tasty snack from the winner's glass. This time he's predicted Spain will win the World Cup! And Spain won the Cup!! !